Qi Gong (pronounced “Chee Kung”) is one of the most popular Oriental-type exercises. 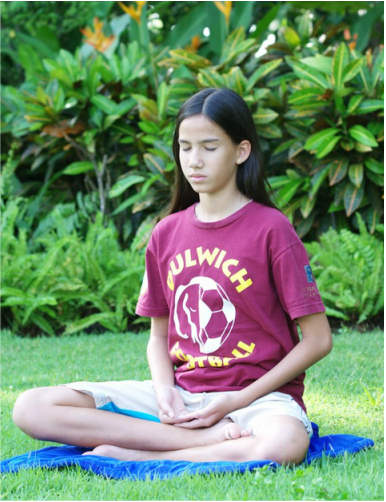 It involves the coordination of different breathing patterns with various physical postures and motions of the body. Like Taiji quan, martial arts, and meditations, Qigong cultivates Qi. Qi means breath, air, and vital energy. Gong refers to work, skill, discipline, and cultivation. Qigong was breath exercise, vital energy skill, or qi cultivation. Traditional Chinese medicine believes that the body, mind and spirit as an organic whole is a “Qi field,” and one of the vital signs of life is breath. What the body inhales and exhales is Qi. The Qi field can be generated and maintained by regular, rhythmical respiration. Practicing Qigong can strengthen the Qi field, promote free, smooth flow of Qi within the field, and therefore keep the body, mind and spirit healthy. Qigong is based on holism regarding and treating body, mind, and spirit as an organic whole. Mentally regulating the body, mind and spirit through peaceful breathing and gentle physical movement is the most important characteristic of Qigong. 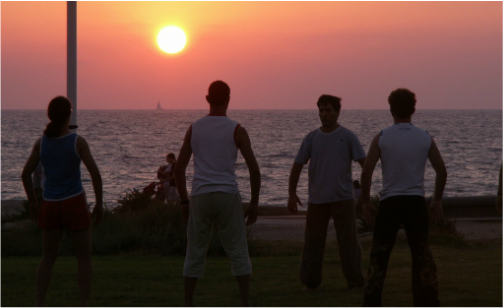 Qigong aims at developing Qi rather than just the muscles. It boosts not only the body, but the mind and spirit as well. Qigong is gentle and easy, so it is extremely beneficial for patients who suffer from constitutional weakness, and who do not have enough energy to undertake vigorous exercises. Today, millions of people all over the world practice Qigong on a regular basis to prevent, treat, and maintain their health.